For those who need a little more laughter in our lives (wait, isn’t that all of us?!) 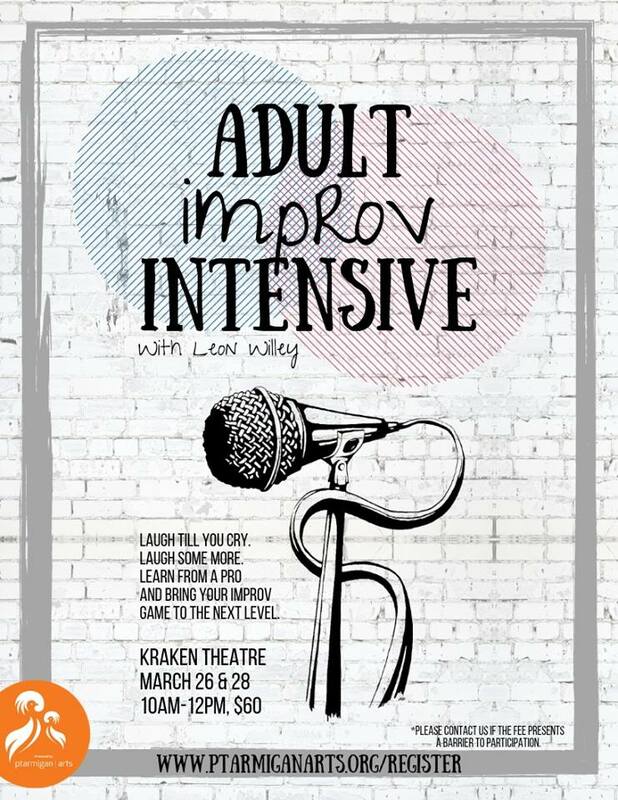 professional actor Leon Willey will be leading an Adult Improv Intensive on March 27 & 28 from 6-9pm at the Kraken Theatre. No acting experience required. Leon will help you gain confidence, think on your feet, and focus on creating a scenario that you can perform live.